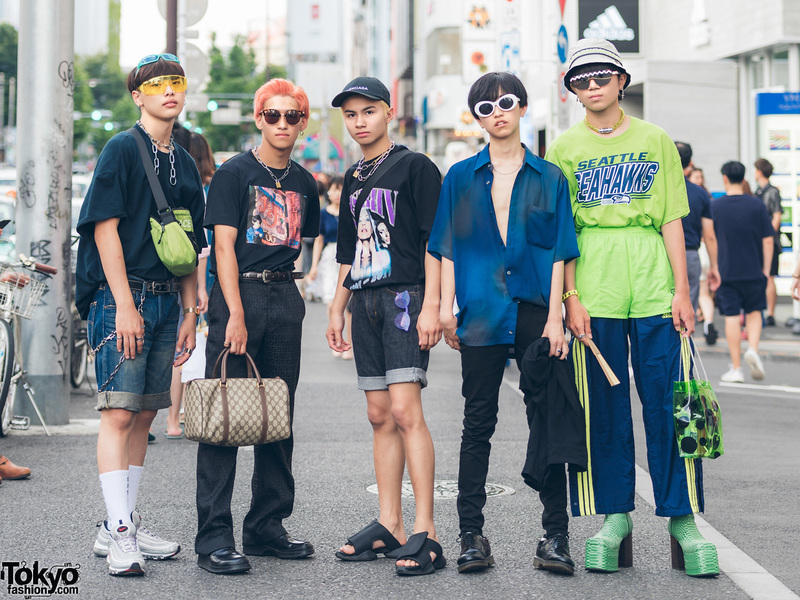 Harajuku girl in casual street fashion with black t-shirt, orange denim pants, white sneakers, a black cap and a rainbow vinyl backpack. 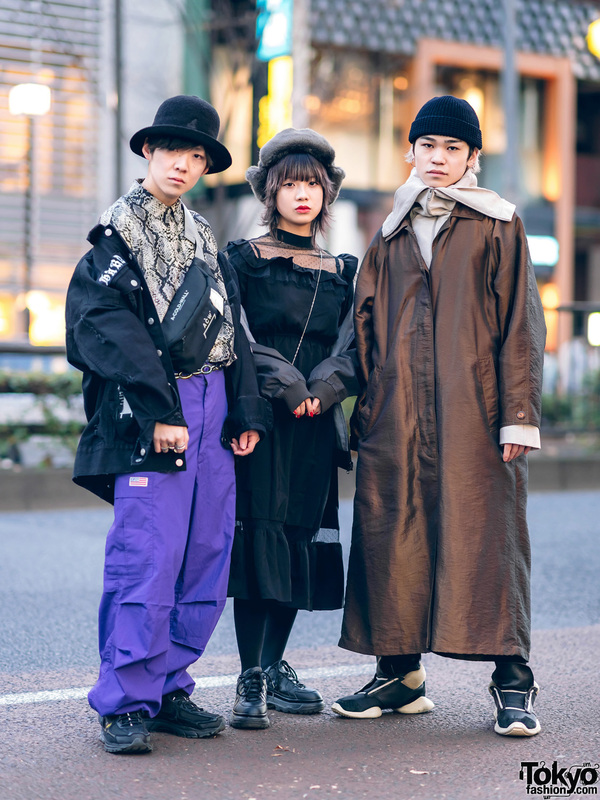 Harajuku duo in all black ensembles with plaid shirt over denim shorts and platform creepers, leather jacket over sweatshirt, zipper pants and snakeskin boots. 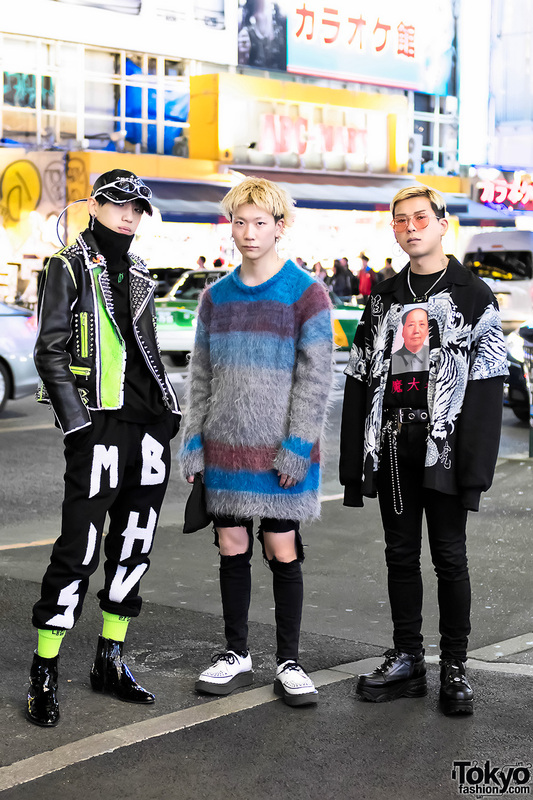 Trio of stylish guys in Harajuku wearing fashion by Japanese and Korean streetwear brands including 99%IS-, More Than Dope, BERCERK, and Plastic Tokyo.